Jürgen started online racing at the end of 1999 when he joined the Official RS2 racing league. In Spa Franchorchamps he could score his first online racing points. After this league shut down he joined the UK Dirt League (Dirt Track Racing and Sprint Cars). He could finish 5th (DTR) and 3rd (Sprint) overall with a race win at Leicester. In August 2000 he tried his luck in the European Nascar Cup (renamed into ESCORS later). Together with Hendrik Gerhardt he founded the EuropeStoxx Racing team for which Jürgen drove till January 2001. In February 2001 he founded his own team 'Sportscar Racing Team' and won a GED race at Lowe's with it. Besides he administrated the Truck Series and became admin in the Challenge Series South. 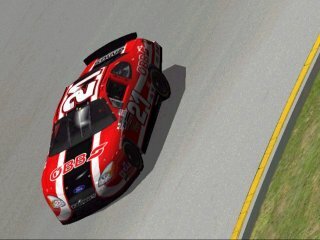 He could get 3rd in the ECS 2001 overall with his new team 'Eurospeed Racing Ltd' with a race win at Pocono. In 2002 he joined HESC Motorsports for a GED season, but retired mid-season due to financial problems. In 2002 he also founded the 'Global Speedcrew' together with Hubert January - they went for good results in the ARL 2002 season. 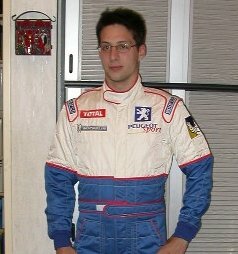 In late 2002 Jürgen joined the Flying Tires and raced for them in the ECS and BCS 2003. Different opinions led to a split and Jürgen fusioned his 'Global Speedcrew' team with Claessens Motorsport. From July 2003 on he will driv for CMGS Motorsports.